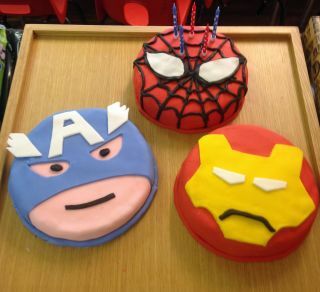 If you're looking for a great kids' party venue in Rutland then look no further. 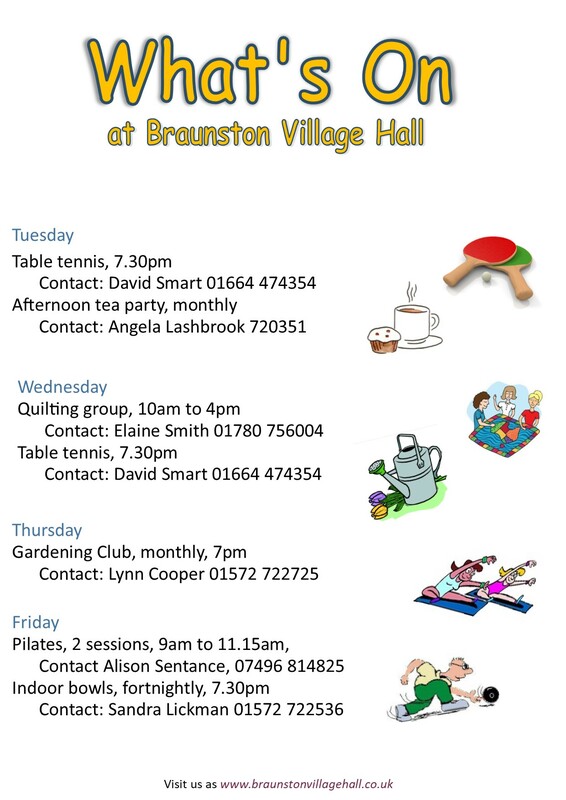 Braunston and Brooke Village Hall is a fantastic venue for parties for children up to 12 years old. 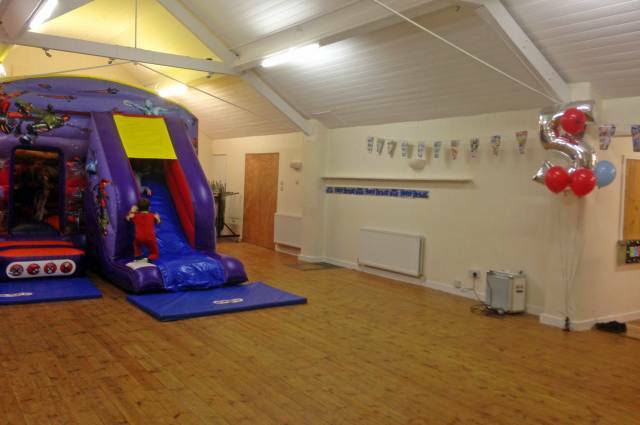 The large hall provides enough space for an indoor bouncy castle, soft play equipment or indoor games. We also have a large enclosed garden which is great for summertime party fun. 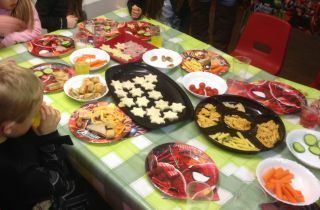 The fully fitted kitchen allows you to prepare party teas with facilities to make hot or cold food. 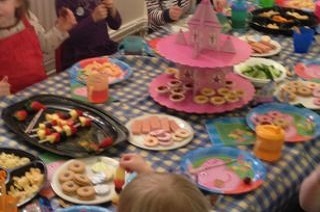 You can choose to set up the party tea table in the large hall itself, the annexe of the large hall or in the small hall. Tables and chairs are available as well as tablecloths and are included in the hire price. 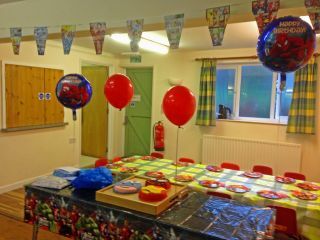 For party hire prices click here. 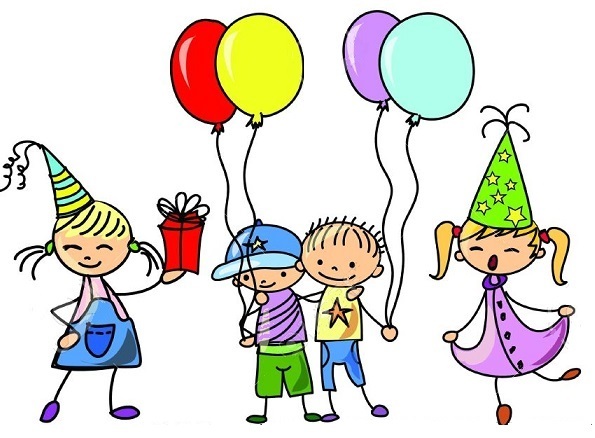 We do stipulate that the whole hall is hired for a children's party to ensure there are no adults on the premises that your children don't know, ensuring both their safety and your enjoyment of our party venue. Keep up to date with all the latest happenings at the hall by checking out our Latest News and Upcoming Events pages.